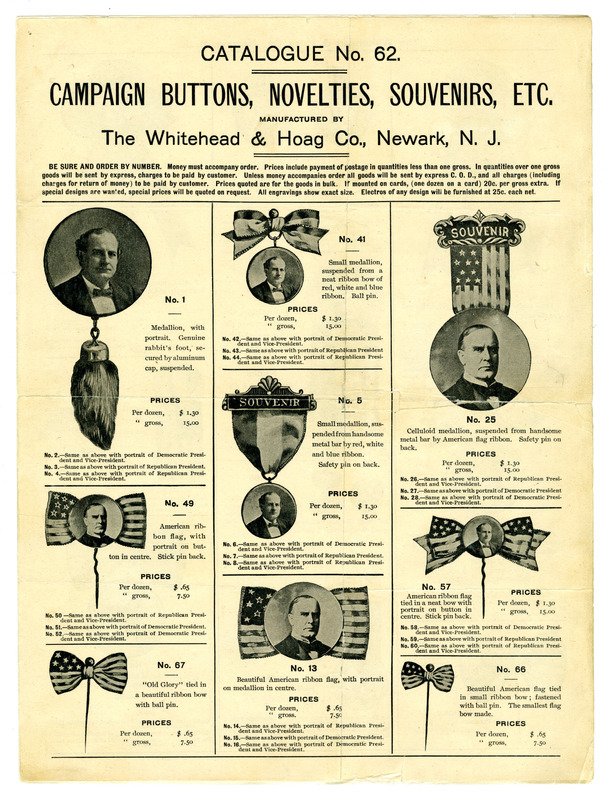 The colorful pin-back buttons that we think of today appeared for the first time in the campaign of 1896. 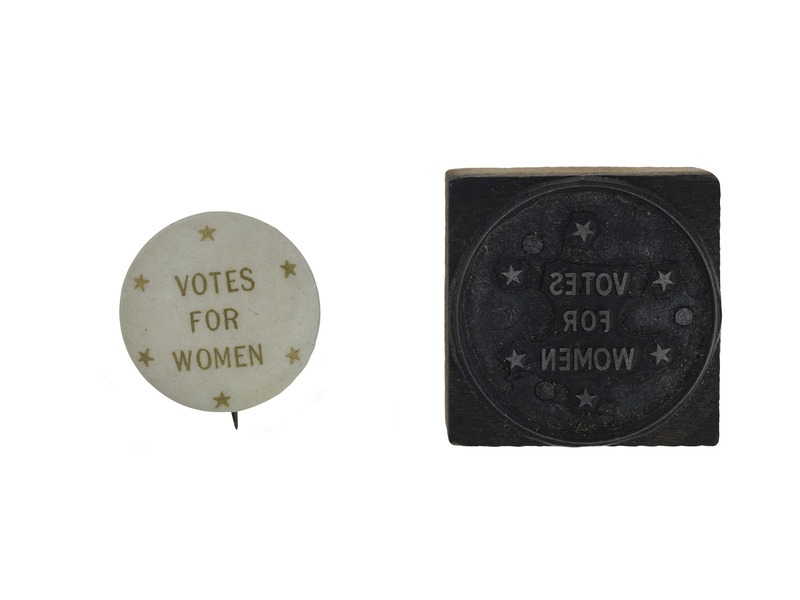 Coated with “celluloid,” a new plastic material, the pin-back button was a stylish departure from the metal clothing buttons that celebrated George Washington’s first inauguration, the metal tokens that lampooned Andrew Jackson’s attack on the Bank of the United States, and even the stickpins that acquainted voters with the likeness of Abraham Lincoln. The celluloid button—made with a patented process that sealed a paper disc under a shiny layer of clear plastic on a metal shell—presented colorful graphic possibilities. 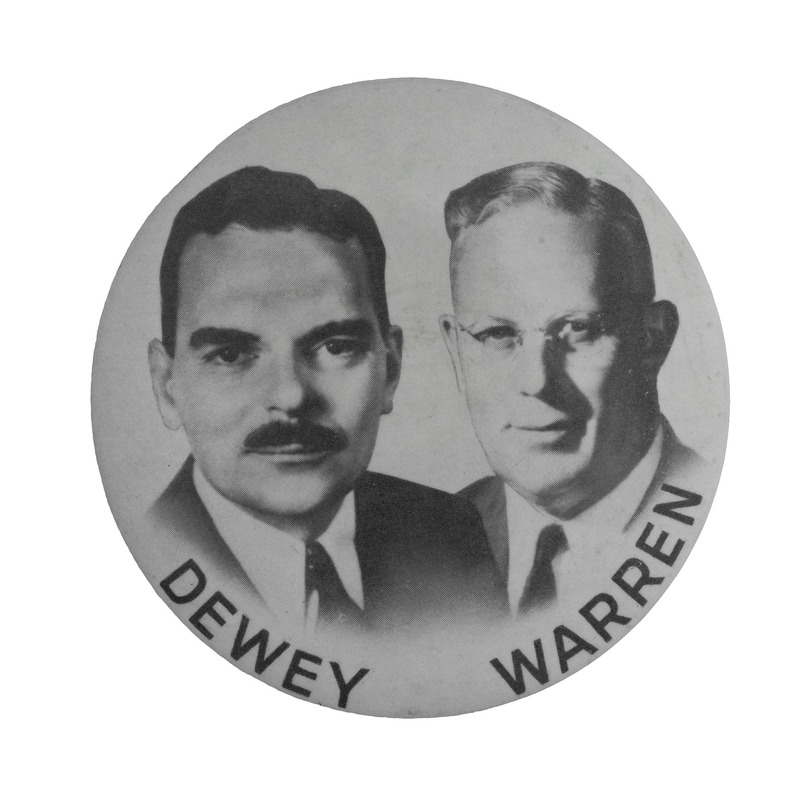 The celluloid button became a collectible in its own right on the way to commercial success as a wildly popular advertising medium. 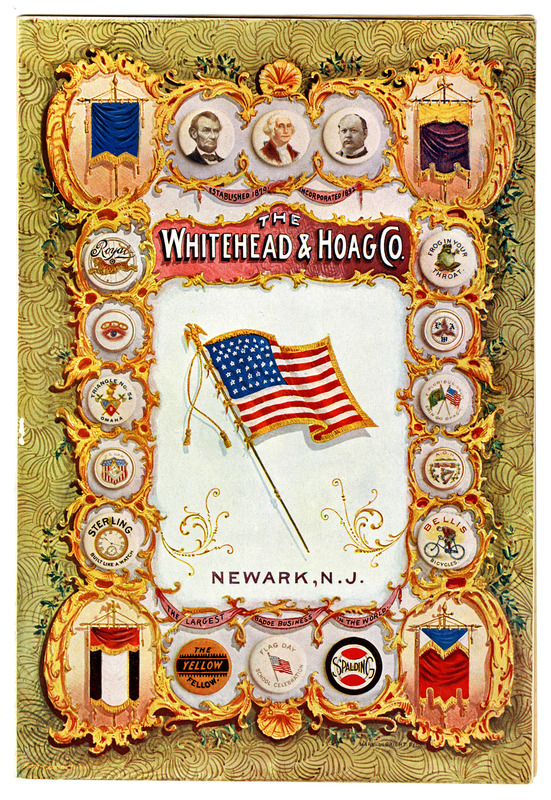 Whitehead & Hoag sold to consumers through “jobbers” throughout the United States, who solicited orders for custom-made ribbon badges from lodges, societies, conventions, parades, and political organizations. Each ribbon came packaged with a piece of card stock in a reusable envelope. 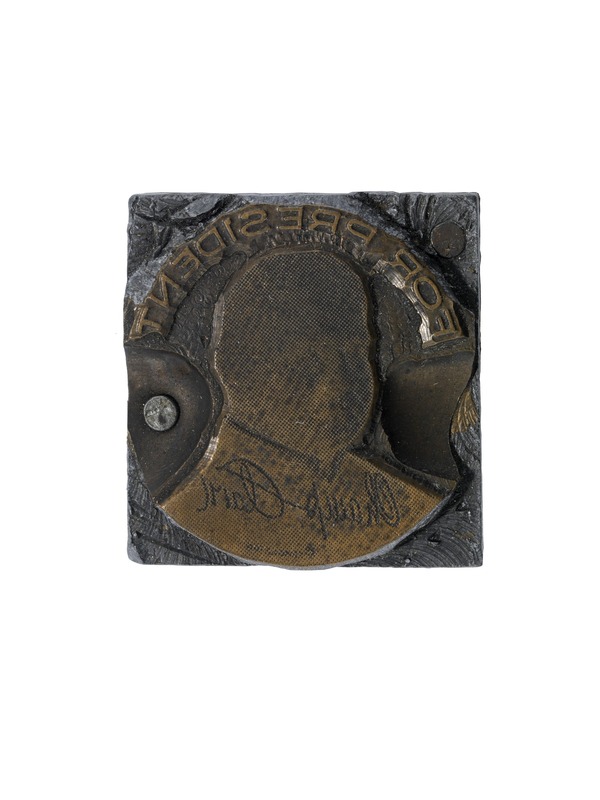 Whitehead & Hoag published testimonials of its timely service, including praise from the badge committee for the inauguration of President Grover Cleveland, which ordered over $1,600 in badges like this one for the ceremony. 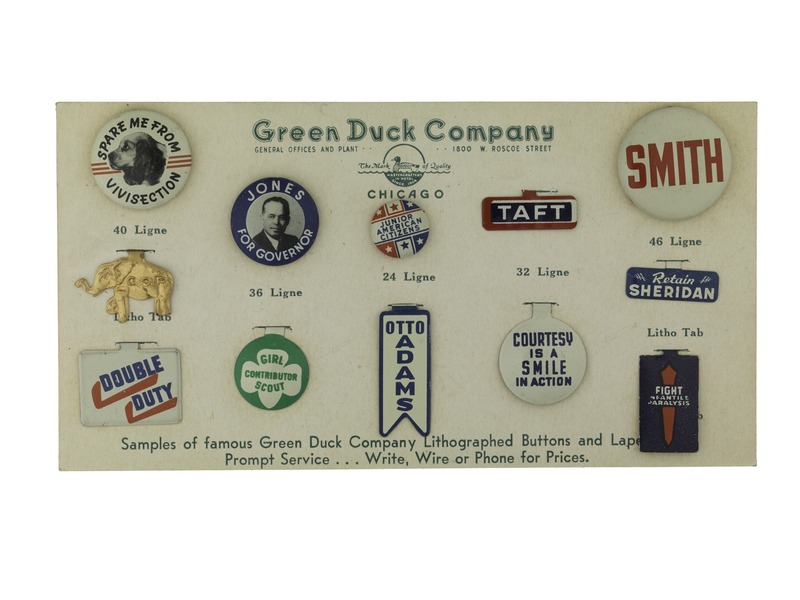 The celluloid process held up well into the 20th century, but it was undercut by the relatively inexpensive process of metal lithography developed by rival firms such as the Green Duck Company, which created this sample card around 1956. 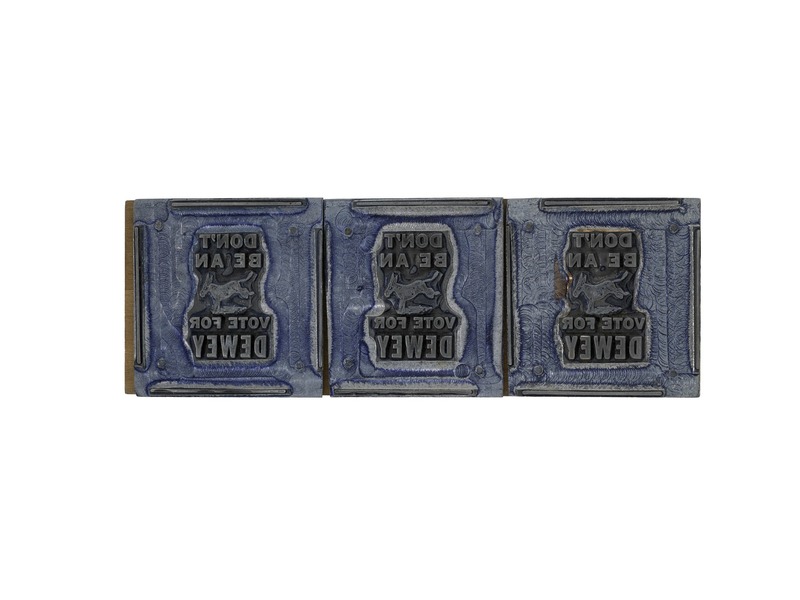 The process of printing a metal lithograph button started with stamping dies. 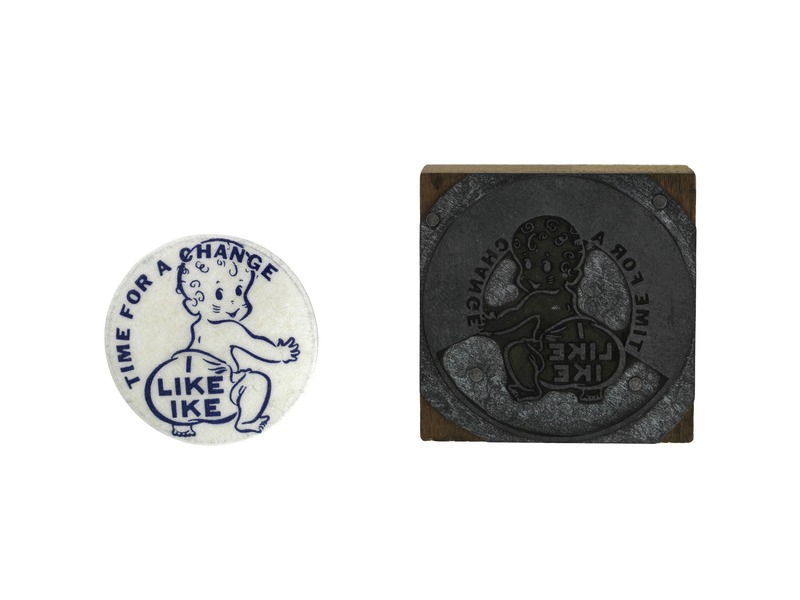 Each die is displayed below next to an example of its finished button, ready to wear. 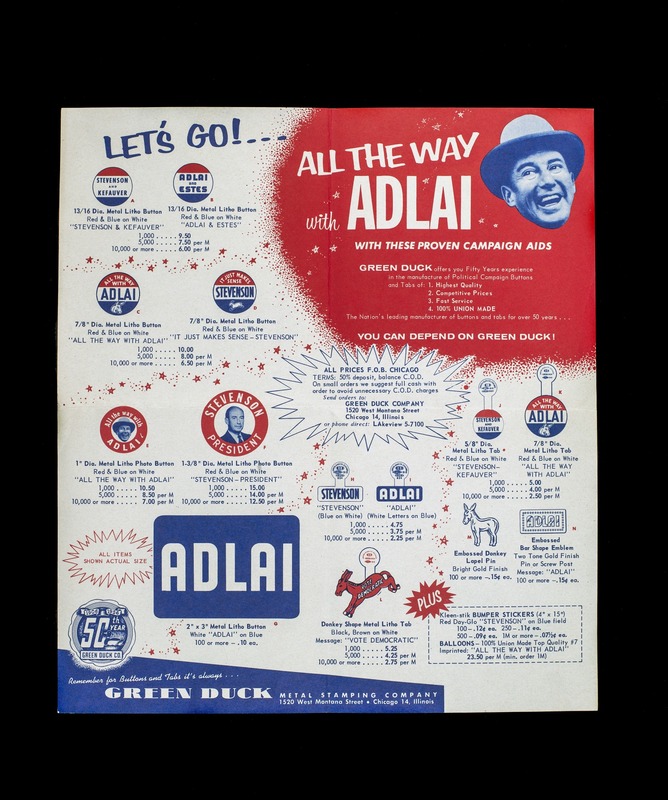 Well into the late 1950s, political parties, candidates, and campaign managers believed in the pin-back button and other novelties as vital and vibrant advertising media. 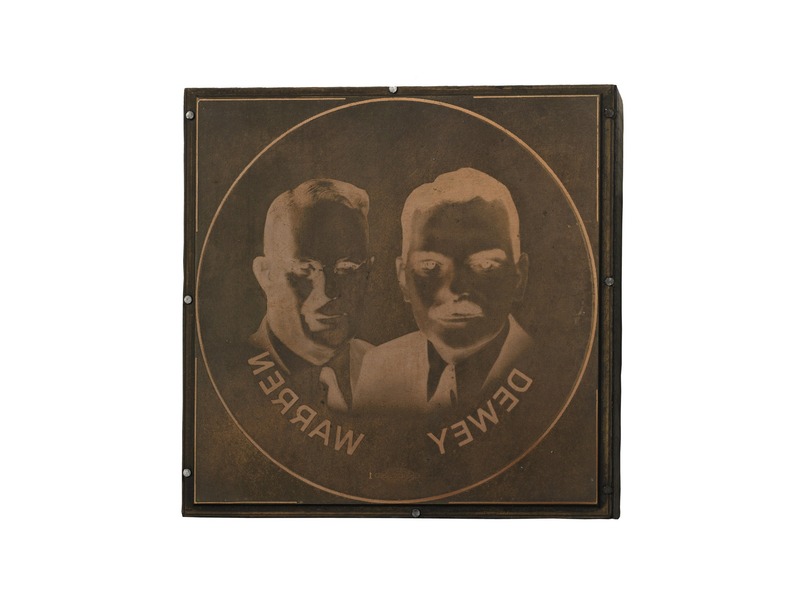 Given away for free to be displayed as emblems of political activism and engagement, such novelties stimulated partisanship, sustained constituencies, and won elections.